Oh wow, time just flies! 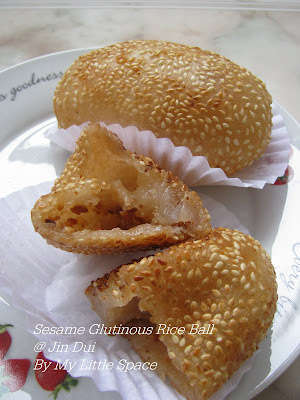 I still remember the last rice dumpling I published on last year around this time. If I'm not mistaken there's no one reading my post! =( But I'm so glad I finally met so many foodie friends from all around the world by this time of the year. I have no doubt how fortunate I am to have all of you around. I enjoy every moment of it. And here's something nice & sweet to go along with our yearly Dumpling Festival celebration, which is fall on the coming 16th of June. * extra cooking oil for hand coating. 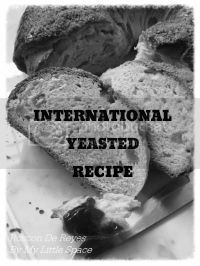 - combine ingredients (A) in a mixing bowl untill oil totally combined. 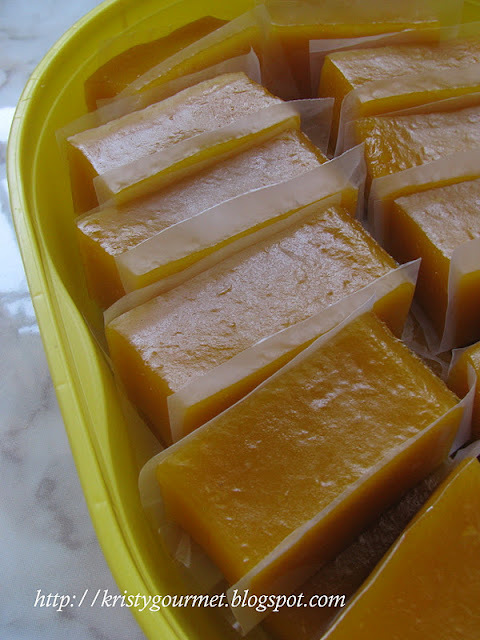 - combine ingredients (B) in a saucepan and boil till sugar dissolved. 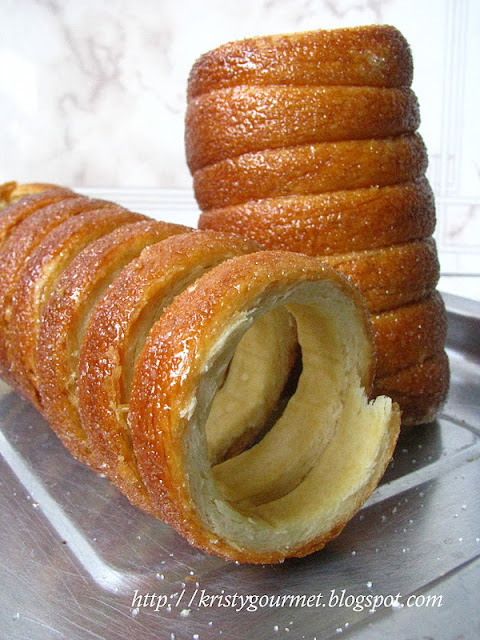 - slowly stir in ingredients (B) into (A) untill form a sticky soft dough. - then add in ingredients (C) and mix untill combined. - now, fold a piece of bamboo leaf into a cone shape. - steam the prepared dumplings over rapid boiling water for 15 mins. - then leave cool and serve with palm sugar syrup. I only used three quarter for the longan & ginkgo nuts flavour. The other one quarter I used red bean paste for fillings. Pretty nice though! I still think the longan flavour dumpling quite unique. My daughter took a few of that and ME...haha.... I ate four straight! haha.... Hey, don't laugh! Hopefully, I don't look like BIG MAMA by the end of the year. 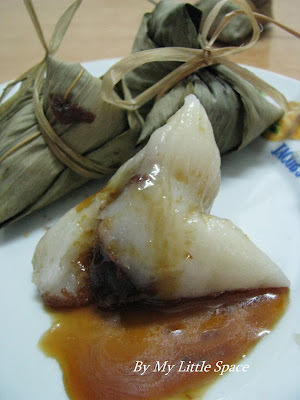 I plan to make hakka dough dumplings this year too!!!! mmm...do you do the delivering? :-) They look so yummy. The rice flour is plain rice flour, right? not the glutinous one right? Wendy : Thanks for the comment left on my other posting. My FIL used to make Hakka dumplings every year but he can't do it anymore. YOu know, what situation he is in now! Though, I hope to try it out myself. My family loves it very much. Only very litle ingredients are used. Mainly red beans, glutinous rice & meat. Angie : Miss this or not? SKucing : You need both rice flour & also glutinous rice flour! Make sure you don't put in the wrong flour lol! haha... Good luck, dear! Thanks so much for spending your time here today and hope you're having a fabulous day! Gosh, Kristy, you did it again. Using both flours instead of the glutinous rice itself. Looks so yummy, salivating already. I like glutinous rice but find it hard to digest. 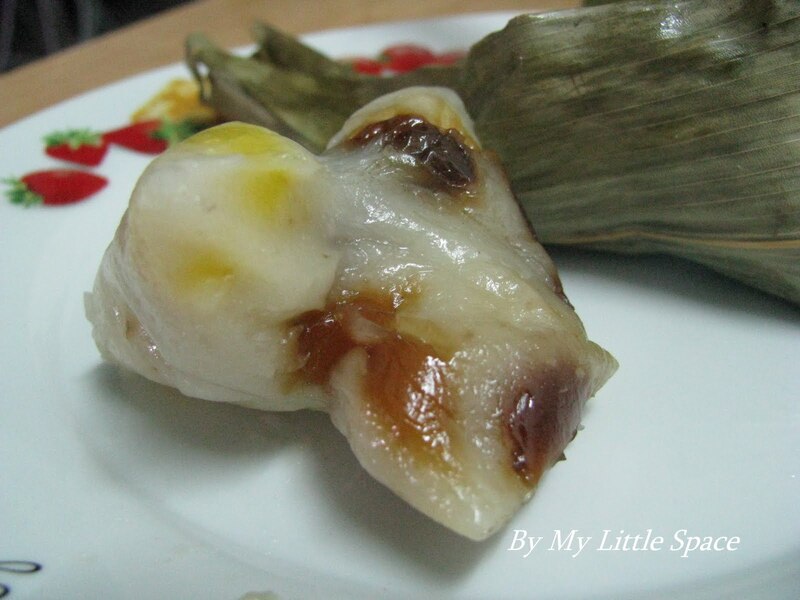 I like the other kuih, something like that, round with 'mei tau' and a bit of 'har mai' filling, on a piece of banana leaf. Maybe will try to make it one day, ha, one day. No worries, now you have so many followers reading your posts. How one year changes! These look so neat - never actually knew how these are made...very cool. this is new to me but it looks very delicious...thanks for sharing dear..
Dumplings with syrup sound amazing! I haven't seen them before!! Oh how I love dumplings. Oh how I ant yours. The syrup really inites. i actually want to try and make rice dumplings. difficult though! This looks great. I've only had savory rice dumplings, but I can't wait to try your version. Cheah : Thank you! It taste pretty chewy and spongy at the same time. Just like those 'kan sui zhong'! I adore the texture very much. Planning to make some more next week. 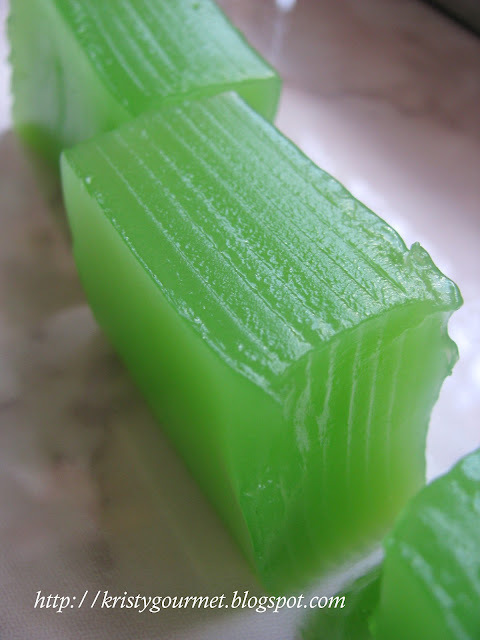 The kuih you mentioned about is 'cha guo'! I like that too. But as you said so quite hard to digest. Belinda : You can check out the making from my last year posting (just click on it)! Divya : You're welcome! Hope you'll enjoy it too. TLSpoon : Hmm...you're right! I'm a big fan of those syrup! Claudia : Haha... don't have to ant on my dumplings! Just get some from the nearby Chinatown! Penny : I'm going to make that next week. I hate the boiling section! As this is much easier, just steam for 15mins will do. Fast & yummy. Kait : Thanks! Glad that you like it too. 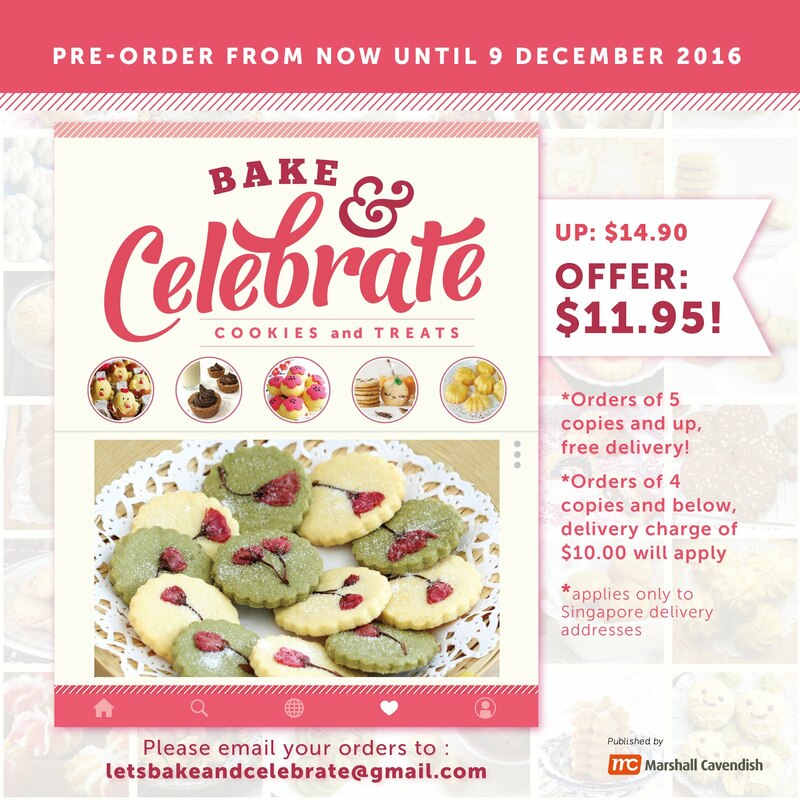 Hope you'll enjoy the recipe & have fun! Thanks for stopping by everyone! Hope you're all having a great time today. Mmm... I love seeing all these great dumplings, can't decide though. I'm sure you'll have some great ones coming up too. It's so nice to meet everyone on our little blogs we have here. I am not on a year yet and I am so thrilled being able to chat, and get to know you! You cook so many different dishes! I've never heard about these dumplings. It's so good to see our blog becoming popular, isn't? I love when someone new appears and comment. Daaaaahling, imagine, this time next year you will have even loads more readers. There are few people who cook and bake as well as you, and you introduce us to so many cool new things. Beautiful dumplings! Your food always looks like art! My goodness, these look amazing! You are so talented. My husband would be so happy if I made these. MaryMoh : Ya, coming real soon! 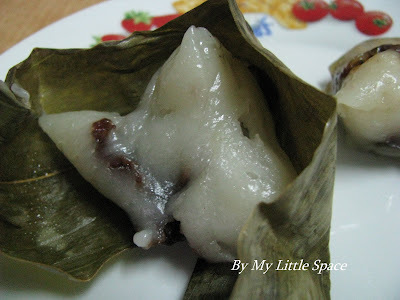 Are you craving for the rice dumpling now? Sorry, I can't help you! Jeannie : Guess, not this year! Lynd : My blog anniversary is on the 31st of March and I actually forgotten the whole thing about it! Talita : Thanks alot for your comment and really appreciate it! HH : Hahaha... aaa... hopefully, hopefully! Andrea : Your hubby like this? Does KOrean like rice dumpling too? Bridgett : Hope your hubby going to enjoy this! All the best, dear. Thank you for spending your time here and hope you're all having a wonderful day! I smiled when I read your post. I too, have some great recipes that I posted early on in my blog and no one was reading it. Now, you have plenty of people enjoying your blog from all over the world. At first glance I thought to myself, I would love this, but no way, it looks way too intense to make. But I re-read your post and I think it may be doable. Will just take a bit of patience like gnocchi. Thanks for sharing! I'm loving all these dumplings everyone has been making on there blogs...I've never made dumplings like this before...I'd love to try them. I'm really not even familiar with all the ingredients, but they look great. BigBoysOven : Hi there, welcome to my humble little space. I'm honoured to have some pro around. Hope to hear from you more often. Velva : Thank you so much, dear. We sound like neighbours more like blogger, aren't we? Emily : Hope you'll enjoy the recipe & have fun! Mary : Hello, birthday girl! Thanks and same to you. Bo : I'm pretty sure you're going to love it since you like Asian food a lot. You can easily find all those ingredients at any Asian Food Stores. All the best! Thank you very much for visiting my blog and hope you all having a wonderful day! I love anything chewy like this, I was at my Asian supermarket today and I almost bought glutinous rice flour, but didn't know what to do w/ it...Those dumplings look so good Kristy! Please enjoy your weekend, Kristy! my 1st time see dumpling using flour but not rice, very interesting, just wonder how it will taste, must try this one day. These sound so unique and delicious with longan & ginkgo nuts filling! Those came out just beautiful. Wowwww! This looks delicious :-) I am schway impressed!!! it looks really interesting- and delicious too! I love longan! That is certainly a nice sweet dumpling. silvia : Then definitley you'll love this! 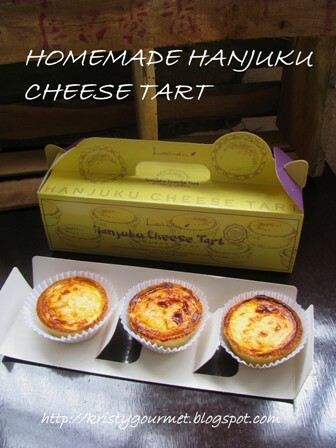 Hope you'll enjoy this recipe. Alice : Yes, it is! Going to be busy preparing these next week! Sonia : These taste a little like 'gan sui zhong' but it's much better cause no alkaline is used and still very chewy and spongy. Natasha : Both the ginkgo & longan did actually go very well together. And it all natural sweetness. Julie : Thanks alot, dear! 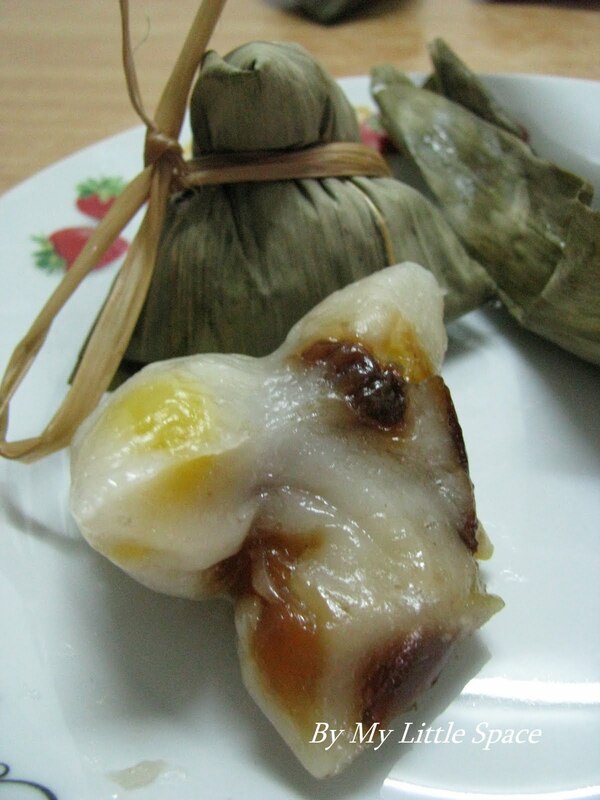 Emily : I wonder have ever try the Chinese rice dumpling before! Jess : Hahaha... No delivery! Von : I do think the flavour is very unique especially the natural sweetness from longan! Fimere : Thank you so much for the awards. I'm truly honoured! Laura : Hope you'll like it too! Tigerfish : Craving for homemade dumplings? Thank you everyone for visiting and spending time here with me. Hope you all are having a wonderful weekend!